BEST GROUP TRAINING FOR HALF MARATHONS! RaceTeam is a 10 week group training programme that will get you to the finish line in a half marathon. To achieve this, we provide an awesome, fun and supportive environment with top coaches and a programme that is tried and proven, it really is a fantastic experience to be part of both physically and mentally. 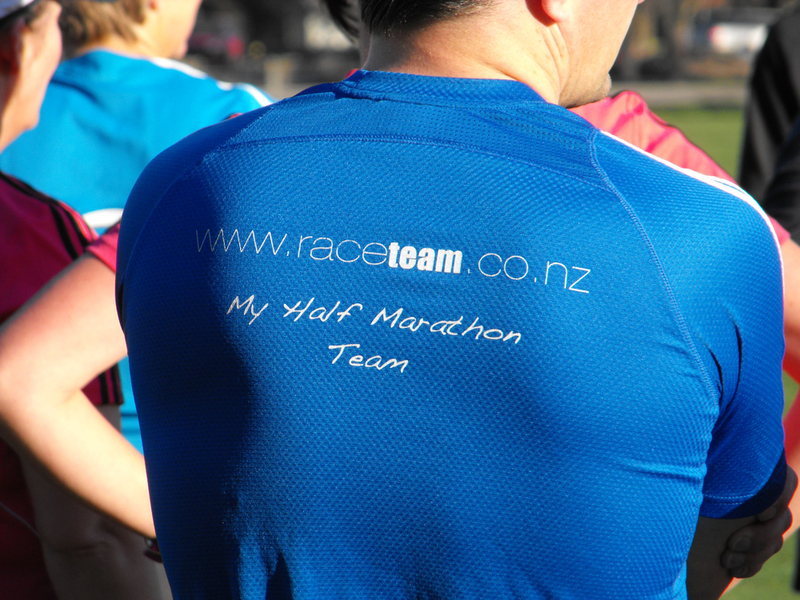 RaceTeam is available in Christchurch only at this stage. The next RaceTeam is training for the Extra Mile Runners Epic Half Marathon on 31 August 2019. This half marathon has been designed specifically for this group and is only open to our RaceTeam Epic team. RaceTeam Epic is a 10 week programme with 3 group training sessions a week. This is a morning only programme. RaceTeam Epic is a morning programme only. The weekday sessions are 60 mins in duration. The Saturday morning run begins at 7:30am and are held at different locations around the city. The weekly email we send you will outline the meeting location and route of that week's session. *Note: During the programme there are some Saturday sessions that start at 7.00am - these are your longest runs in the programme so we start you a little earlier. In total you will have 30 group sessions. The programme requires that you do some sessions by yourself each week, these will depend on your level. We have made sure these are the lighter sessions. The group runs are designed so everyone knows what is required before they start. The coaches will be present at each session to offer support, technique advice and motivation. The sessions are run by some of Christchurch's top athletes/coaches, check out our coaching team here. Each week you will receive a weekly newsletter that will provide you with tips, education, maps of that week's runs, session details and inspiration. We send you a video introduction before we start that gives an overview of the RaceTeam Programme, key information you need before you start. We send you a Race Nutrition video in Week 3 outline advice around race nutrition for you to practice in your long runs of the programme. You may find that the most support you get is from your RaceTeam crew themselves. You all have a common goal you are working towards and will share the same experiences week to week. You will build friendships over the coming weeks. Once you "submit' this form you will receive a “Welcome to RaceTeam Epic” email from us. This sometimes gets caught in spam filters - so please check your spam/junk email folders if you can't see it in your Inbox within a few minutes. This will add you to the group email that will be sent your week newsletters during your programme. You are then all confirmed and we will send you the information you need before the team starts. If you withdraw within 4 weeks (Weeks 1-4) of the programme start date we will refund or credit (valid for 12 months) your money, less the week's used (or part thereof) less a $25 admin fee. Please advise us via email of your cancellation. If you withdraw after 4 weeks (from Week 5) there is no refund. Hopefully not! But if you get injured during the programme we will refund or credit (valid for 12 months) you for the amount you paid less the weeks you attended (or part thereof) and a $25 admin fee.